Yikes! Sounds like someone’s about to get spanked! Welcome to another Saturday Spanks! I hope you enjoy this little snippet from my story, ‘Just Right for Me’, published by Blushing Books. Don’t forget to check out the list of authors below my post for some more spanky snips! Have a great weekend! Ross gives Mia some much needed correction. eyed his strong calf and pressed her mouth to his leg. “I’m regretting it now,” she whined. Mia’s childhood lacked love and discipline and the uncle she thought would always be there for her had betrayed her in the worst possible way. Could she put aside her trust issues and allow Ross to know what was good for her even though her bottom would more than likely suffer the consequences. When it’s right it’s right. Lol, maybe she was just hungry!!! Love the last 2 lines. I like that she bit him. What a wildcat! I like the biting too – not the conscience too much. Ooh, that’s cute. I really need to something else by you – I really enjoyed To Have and To Scold. 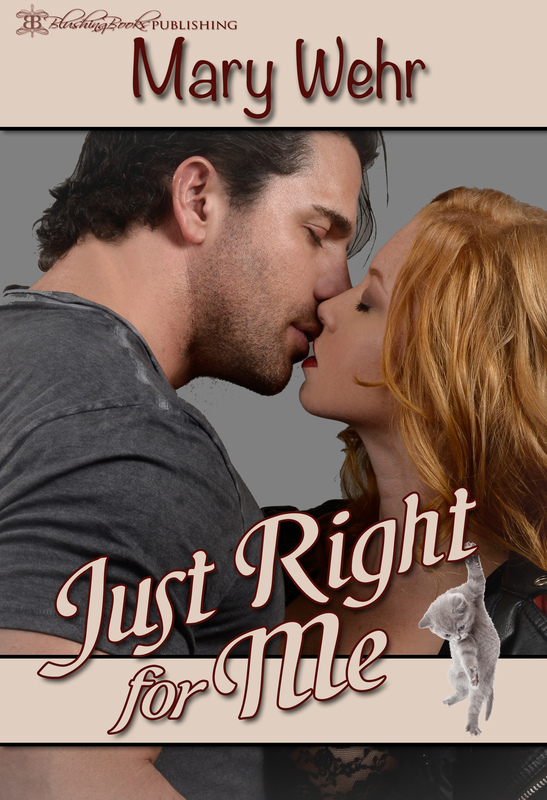 And look there’s a kitty on the book cover! Why is there a kitty on the cover? I may have to read this book right now to find out where the cat fits in.